Gluten is a protein found in cereals such as wheat, rye or barley and is particularly useful in food production. For example, it provides elasticity to the bread dough helping it to rise, to maintain its shape and to give it its characteristic texture. There are many foods that contain gluten including some not so obvious as soup, beer, and salad dressings. The same protein that is so useful in the production of food is also a nightmare for celiacs. These present an autoimmune disorder – celiac disease – which causes the body to react to gluten as if it were a threat to the organism. This reaction damages the small intestine and can lead to osteoporosis, infertility, nervous system damage and seizures. 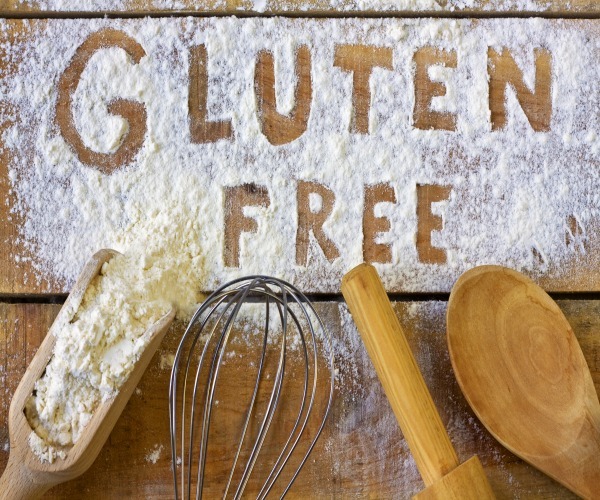 Regardless of the form, you choose to eliminate gluten from your diet; you need to know that you are exposed to a number of nutritional deficiencies. Bread and cereals, for example, are an important source of vitamin B. Breads made with tapioca, rice or other gluten-free products are increasingly common but do not contain this type of vitamin, which would require a vitamin supplement. More in the case of pregnant women who need folic acid to avoid malformations in the fetus. Nothing, in any case, that cannot be solved with a vitamin supplement. On the other hand, whole wheat is one of the major sources of fiber needed for the intestines to function properly. If our normal diet is already short of this filament, if we eliminate wheat, the problem becomes more complicated. For this, it is convenient to increase the consumption of rice, quinoa, vegetables, and vegetables. The novelty now lies in that, according to the scientific community, specifically Harvard University, there is a relationship between gluten-free diets and the increased risk of developing type 2 diabetes. It is an inverse association between the intake of gluten and the risk of developing type 2 diabetes. This means that the lower the amount of gluten we eat in our daily diet, the greater the risk of diabetes. The data on which this claim is based come from 3 different studies that have analyzed in total almost 200,000 people of which about 16,000 ended up developing diabetes. The analyzes showed that those subjects with a high intake of gluten were 80% less likely to develop type 2 diabetes compared to those with a low intake. This analysis has important implications. Type 2 diabetes is a serious disease that affects more than 400 million people worldwide; an amount that, as everything seems to point will increase in the coming years. Globally, diabetes is responsible for around 10% of the costs that public health systems must bear and the drugs to treat it account for one billion euros annually. It has no cure and its remission is very unusual. This implies that once diagnosed with this type of diabetes, it is almost impossible to return to health. This is the first study that establishes a link between the consumption of gluten and type 2 diabetes – there was already evidence that celiac disease was related to type 1 diabetes – and its conclusions are of utmost importance to all those who Without being celiac and without sensitivity to gluten, they decide to adopt a gluten-free diet, thinking it is a healthier option.